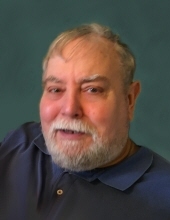 MARK EDWARD EYRICH, 67, of Rock Island, IL, died Monday, January 28, 2019, at UnityPoint Health Trinity in Rock Island. A memorial Mass will be held at 11:00 AM Saturday, February 2, 2019 at St. Catherine Catholic Church in Prophetstown, IL, with Rev. Father Toni Kretowicz officiating. A memorial visitation will be held from 4:00 to 7:00 PM Friday, February 1, 2019, at the Bosma-Gibson Funeral Home in Prophetstown. Cremation rites have been accorded. A private family committal service will be held at a later date at Riverside Cemetery in Prophetstown. Memorials to the American Red Cross and the Salvation Army have been established. Mark was born August 28, 1951, in Geneseo, IL, to Cleon D. and Jean C. (McKenna) Eyrich. He was educated in the Centerville Grade School and was a graduate of Prophetstown High School where he was salutatorian of his graduating class. He received his bachelor’s degree from Western Illinois University in Macomb, IL. Mark was employed as a teacher. He was a member of Leon United Methodist Church in Prophetstown. Mark was a member of the Big Brother program, made regular donations to the Red Cross Blood Bank, and enjoyed spending his time volunteering for many different groups and organizations. Mark was an avid Chicago Bears fan and was devoted to his nieces and nephews. Survivors include his parents, Cleon and Jean Eyrich of Prophetstown; four sisters, Darla (Clare) Corbin of Prophetstown; Joan (Ken) Weerts of Indianapolis, IN; Elizabeth (Bill) VanZuiden of Fulton, IL; and Colleen (Jake) Warren of Alden, IL; three brothers, David Eyrich, Paul (Bonnie) Eyrich, and Dan (Susan) Eyrich all of Prophetstown, IL; and many nieces and nephews. He was preceded in death by a sister, Diane Marie Eyrich in infancy. To send flowers or a remembrance gift to the family of Mark Edward Eyrich, please visit our Tribute Store. "Email Address" would like to share the life celebration of Mark Edward Eyrich. Click on the "link" to go to share a favorite memory or leave a condolence message for the family.